The year is 1930. A fiery explosion at the Lilac Inn leaves its owner, Emily Crandall, teetering on the edge of sanity and propels you, as Nancy Drew, headlong into adventure. A will left behind by an eccentric millionaire could solve Emily's problems, and fortunately, you've got a car and can drive anywhere you want. But watch out! When you're in the trail of a desperate villain, the road can get very bumpy. 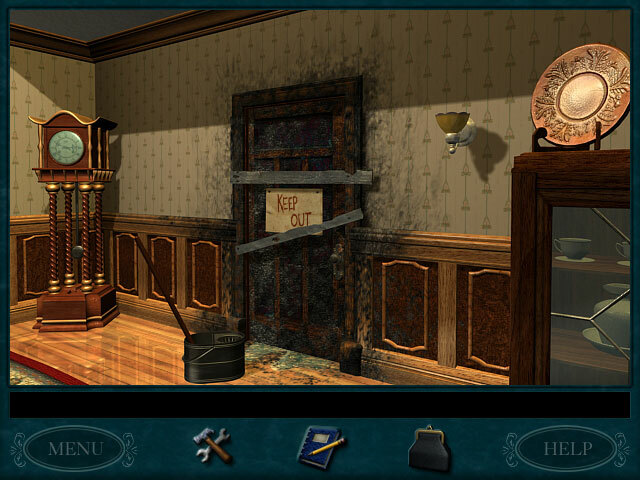 Steer clear of trouble in Nancy Drew: Secret of the Old Clock! Nancy Drew - Secret Of The Old Clock is rated 3.4 out of 5 by 18. Rated 5 out of 5 by Yaelle from No Trial Needed Its Perfection!! I'm not 100% sure I haven't already written a review for this game? But just in case, I need to say that this series blows away 98% of all other games sold here. Its that good. Amazing. Spectacularly professionally well-done. There's a huge gap between this & many of the other games around here. This & one other Nancy Drew book are good enough that I will go & buy every single one sight unseen - and its not just my nostalgia talking. (Like I'd want to relive my childhood! No thank you LOL) Great game. Just amazing. Rated 5 out of 5 by zeldaqn from My favorite ND I've played almost all the ND games and this is my favorite. You get to go back in time to the 30's and drive an old roadster around running errands, etc. This is the game that made me want to play Nancy Drew. Hope you are skilled in mini golf. Rated 5 out of 5 by Rescue_helo from Nancy's first investigation Invited by her friend Emily, the legal heir to an Inn which, because she is still under age, is run by Jane, her legal guardian, Nancy sets off to Titusville in her sports car. As she arrives, she finds Emily quite distraught by the theft of her jewelry and witnesses a suspicious fire in the kitchen. These events are sufficient for her to decide to stay for investigation purposes. 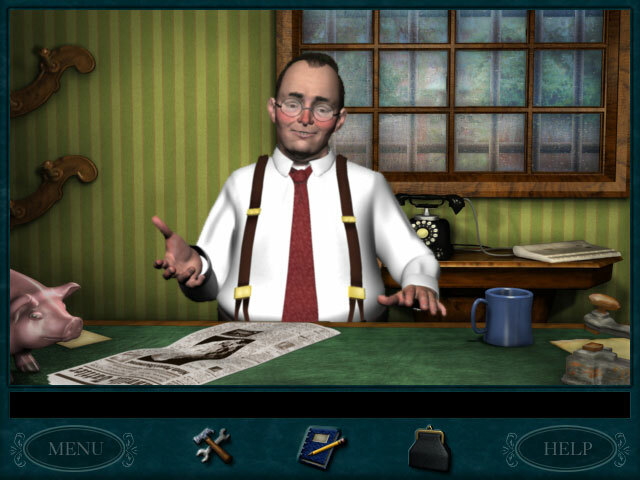 If you have already played one or two Nancy Drew investigations, you will be familiar with the first person view, the interaction with the different characters in the form of interactive dialogs which are important since they provide valuable information and clues, reading books and notes to the same purpose and picking up useful items. Naturally, Nancy will have to solve puzzles; they are all interesting, imaginative and challenging. Minigames come intermittently and are good fun to play. All puzzles and minigames bear some sort of connection with the story. A story which is clever, solid and rather engaging, like every other Nancy Drew investigation. I have played 13 of them and not once have I been disappointed by the plot. The suspense is complete till the end which is totally unexpected. I enjoyed all of them, but I found this one particularly interesting and amusing: driving Nancy's sports car around town was good fun and so were the other minigames. As for the very last part of the ending, that too was fun, but I won't say more lest I'd give too much away. The visuals are impeccable as usual, highly detailed, drawn with talent and brightly colored. Nancy's investigations are reputed for their difficulty. The Secret of the Old Clock is among the easiest and hence perfectly suited to anyone who is unfamiliar with Nancy's adventures as well as veterans. Rated 4 out of 5 by Icthia from Old-fashioned flavor--wonderful fun! I put off playing this game until I had played all the rest of the ND games because I somehow had the idea that it would be black and white and maybe even--gasp!--boring. I was very mistaken. This game is charming and fun. I loved driving the roadster around, delivering telegrams and hearing the funny comments from the people in the town. Some of it was hilarious. I love the mini-golf and the other games and puzzles, except for the sewing--I hated the sewing! The mystery left some good clues and a nice car chase at the end. Very satisfying all round. Rated 4 out of 5 by Spazn from I had a lot of fun playing this one I've been playing all the ND games in the order they were developed. Let's just say, it isn't often I have given a 4 star rating to an ND game. With that said... Fun factor - lots and lots of fun. A nice variety of things to do and very creative. Visual/Sound was great as well. They did an excellent job on all the characters in the game and they did a great job with giving the characters personality. Some parts were quite easy but there were also some rather challenging parts as well. Challenges came in a broad variety and were mostly fun and imaginative. I especially had a blast with the mini-golf course LOL. Storyline was absolutely fun. I think this may be the first time the storyline didn't revolve around history. It was actually just a mystery and that does make this rather unique for an ND game. All the ND games up to this point have had some manner of history as the foundation. I highly recommend this game - even people who are new to ND games should be able to enjoy this one. Rated 4 out of 5 by iseprincs from One of my faves I have played quite a few Nancy Drew games and I didn't think that this would be one of my favorites, but it is! I always had something to do, I didn't have to wait around for the right time to do anything, and I enjoyed the variety of tasks and puzzles. While the puzzles were not extremely difficult, I still found them enjoyable. My other favorites are: Waverly Academy & Blackmoor. I finished the game in about 5 1/2 hours - definitely worth the money. Especially since most of the other games on this site take way less time to finish. Rated 4 out of 5 by mirrorsky from Fun Mystery with great Roadster! This is a mystery/point-and-click adventure game, not a hidden object game. 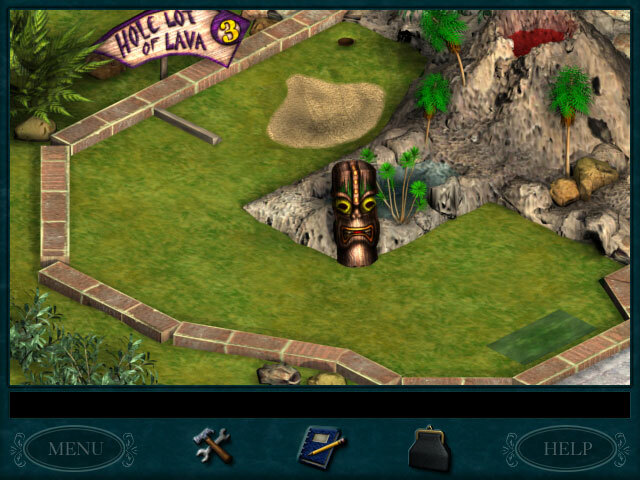 It has colorful graphics, and good voice-over work which adds much enjoyment to the game. I enjoyed the 1930's setting with its slang, music, and Nancy's beautiful car. The puzzles are not too difficult in this game, compared to other Nancy Drew games. What will help you is taking notes, which sounds boring but actually makes the game so much more fun. If you get stuck, Nancy has a journal which provides clues as to what she should do next. If you're looking for a mystery that you get to solve, along with plenty of snooping and sneaking about this game is a good choice. 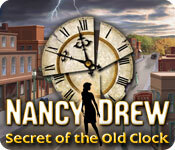 Venture into the past and outwit a cunning criminal before time runs out in Nancy Drew: Secret of the Old Clock.